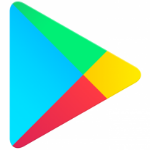 The Google Play Store is constantly changing and evolving - sometimes in not-so-great ways. Ads have been on the store for years, but usually only in the form of promoted apps that appear in search results. Google will be ramping up Play Store advertising over the next few months, with the addition of video ads. The only good news here is that the video ads won't be autoplaying, and they will be targeted using machine learning. So at the very least, you should get ads relevant to the types of games and apps you already use. Video ads will be available "over the next few months" to developers using Universal App campaigns.